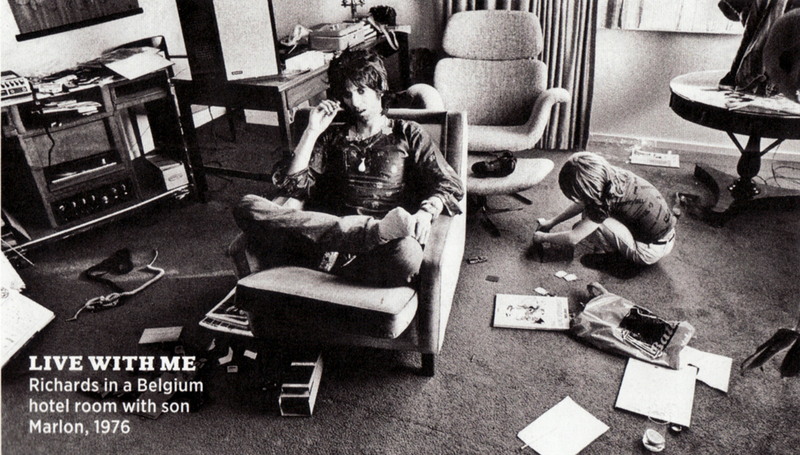 did Mick ever trash a hotel room? Ahh, the 70s, the golden age of rock star excess while roaming the planet. Everyone's seen the famous clip of Keith throwing a TV from a balcony, and Led Zeppelin were legendary in the destruction they left in their path. But during the Stones' mega-tours of the 70s, did the most famous rock star himself do anything more naughty than, say, leave his bathrobe on the floor? Re: did Mick ever trash a hotel room? i think probably he wanted the room rather than trashing it, for other purposes.. He left his shoes on in bed. That's pretty naughty. Got trashed IN a hotel room, yes. Kind of a silly question? He got thrashed in a hotel room - by Charlie. 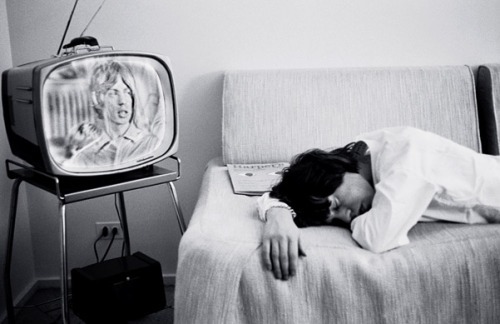 I can imagine Mick constantly tidying up his room very meticulously w/attention to the finest detail. 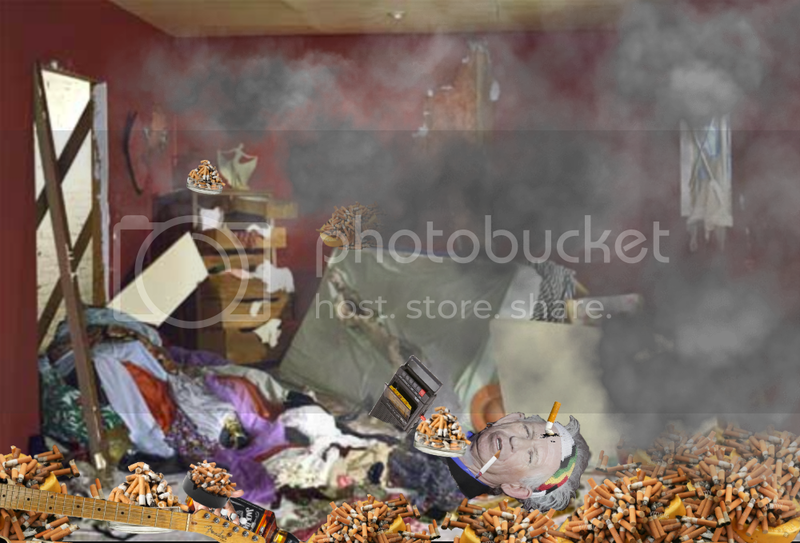 Meanwhile, Keith was throwing tv sets out the window, burning incense (and everything else), and turning it into a dark opium den lit only by a candle. 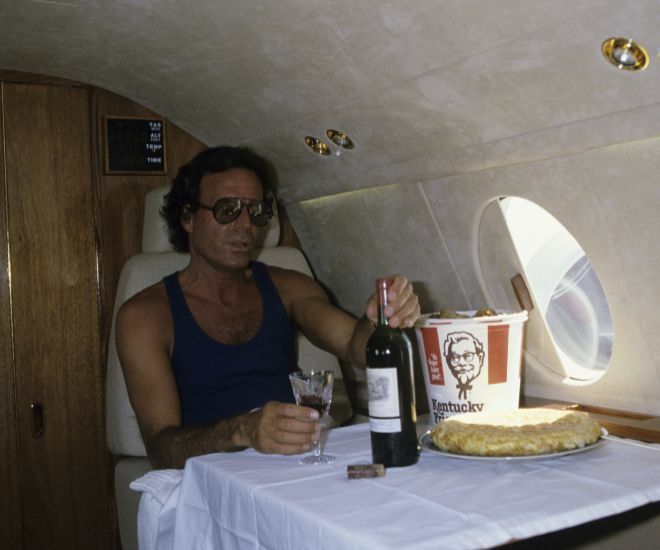 Ronnie's room was probably trashed in the worst unimaginable ways. Bill probably kept it fairly neat and tidy while surrounded by his harem. Then there's Charlie, taking out his sketchbook and drawing his surroundings. Marianne Faithfull says that he beat the hell out her once when she attempted to surprise him after a gig in Germany. To be taken with a grain to be sure but that's what she says. He helped "trashing" posters and food behind the stage. Wouldn't it eat into tour profits..and therefore hit his own pocket? What sane people would do that for? He trashes fannies not rooms. I believe Marianne later denied it (in the David Dalton book) saying she made it up for Tony Scaduto's book because he offered more money if she said Mick was abusive. Eva was very upset about it. Marianne was at her low point, a junkie and nearly homeless, and did it for the money and then publicly recanted. 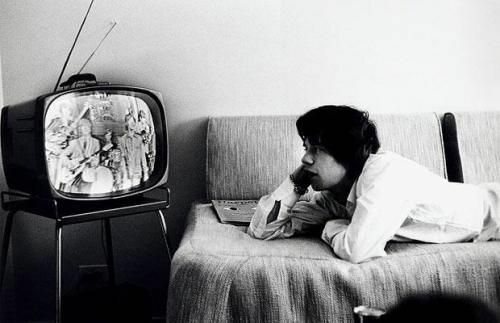 have you seen the one he did of the telephone in his room? Can't recall that one specifically, but I know he made it his hobby to do sketches while in his hotel rooms to fend off boredom. Good old Charlie...pure rock and roll star. The story, set in Genoa during 1967 European tour, is in my first hardback edition copy of the Dalton book on page 134. Not sure if it's in later editions. She had an all new, or atleast revised book out in 2012 or so. Maybe it's recanted there. Edited 2 time(s). Last edit at 2019-02-11 20:08 by His Majesty. Edited 1 time(s). Last edit at 2019-02-11 20:55 by emotionalbarbecue. Maybe back in the early , early days. I get the impression that his room isn't the place where everyone goes to hang out. If there's any partying going on, he'll go to someone else's room where its happening. Edited 2 time(s). Last edit at 2019-02-11 22:31 by ryanpow. Yeah, just a salmon platter. Technically, it was Mick who knocked it over. Edited 1 time(s). Last edit at 2019-02-11 23:35 by ryanpow. …. threw some bad caviar in the trash ..
Then danced the rrrrumba with Stella the room cleaner …. Who threw the TV out of the window in the Franks' documentary? Keith in his motel room doing some songwriting. If this is any indication, the new album should be GREAT!